St. Pius X-St. Matthias Academy is entrusted with teaching youth to answer this call through an authentic Catholic college preparatory education that challenges them to embrace the trials of this world and use their gifts and talents to grow in faith, knowledge, and character in order to build up the Kingdom of God here on earth. In partnership with their families, and through genuine relationships with teachers, administrators, counselors, peers, and extended community members, we cultivate our students to set a foundation for their life so they may achieve their greatest potential in mind, body, and soul. Our educational values encourage PRIDE in our students to recognize their self-worth and God given abilities. As young people continually search for true meaning in their lives, we seek to inspire faith in our students through spiritual experience and religious formation in the Catholic tradition. We are hopeful that their lives of VIRTUE will be strengthened, so they may one day inherit eternal rewards. Through a rigorous academic program, each student is encouraged to succeed within the bounds of their abilities and chosen educational goals. In the classroom, in athletic competition, on the performance stage, and in their lives we strive for the achievement of high standards by all, as we challenge our students to find their God given PURPOSE and mission in life, forming them to become servant leaders in the world and their community. We trust that the knowledge gained through our programs and each student's intellectual curiosity will motivate them to become life-long learners and architects of their dreams. I encourage you to "Recognize your Significance" and "Seize the Opportunities" available at St. Pius X-St. Matthias Academy! Welcome to the 2018-2019 school year! 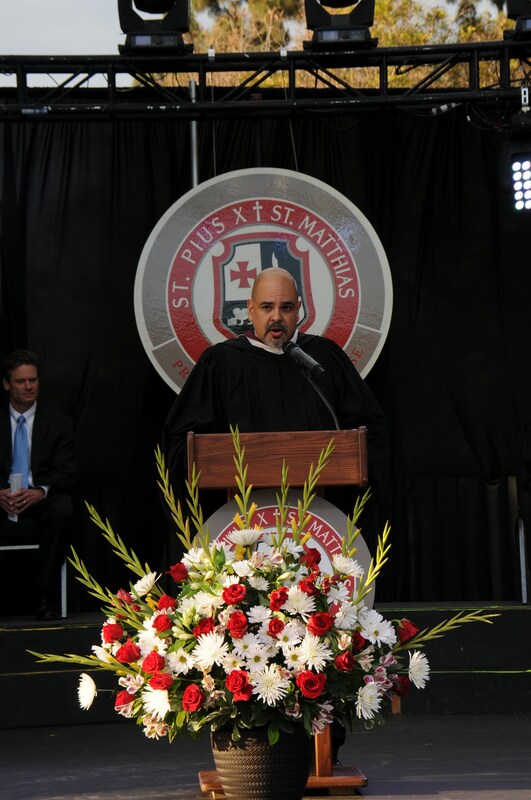 At St. Pius X- St. Matthias Academy, we provide a safe and intellectually challenging environment that empowers students to become innovative thinkers, creative problem solvers, and inspired learners who thrive in the twenty-first century. I am proud to celebrate my 9th year serving at PMA. 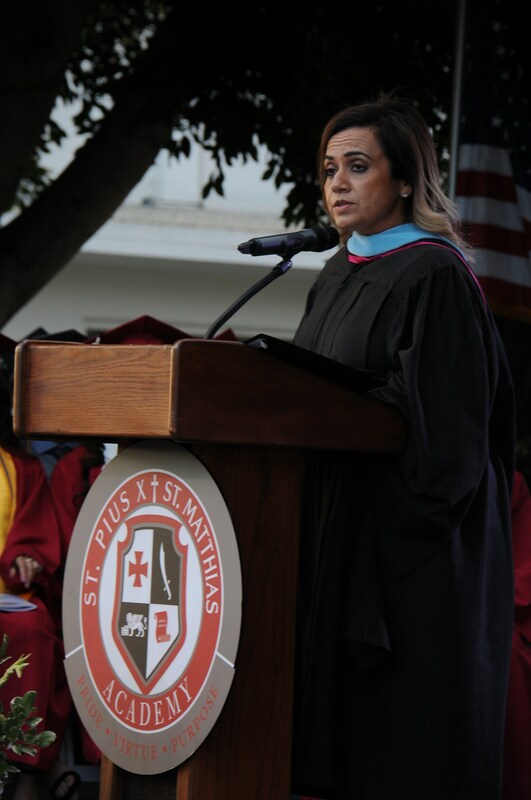 In my role as Principal, I look forward to nurturing the family atmosphere, culture of academic excellence, innovation, and support that exemplifies the PMA community. At PMA, the teachers and staff consider their teaching profession a vocation. They strive to model Jesus Christ within their classrooms and daily interactions within the community. Each day, our students are challenged to learn and grow closer to God, while being taught the skills and knowledge to succeed in this ever-changing and challenging world. I look forward to another exciting, meaningful, and successful year for everyone in the PMA community.